I’ve shot many blog photos with this camera and have even done lots of photos for the newspaper with it but I’m going to be selling it soon, probably on eBay. An excellent camera but I wanted something smaller which is one of the big reasons I got the Canon s500. 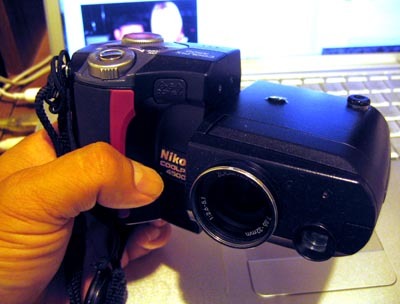 This CoolPix is still a fairly small camera and easily fit in my cargo pockets on my pants legs. I have really missed getting low and high angle shots with this camera since the screen swivels and the zoom when shooting videos, both key features that the Canon lacks. Stay tuned, I’ll post info when I do list it on eBay should anyone be interested in buying it. Previous PostPrevious Tropical Storm Estelle on the way?